Sony's support for PS Vita officially ends next month: what lessons can its failure offer PS5? In February 2012, I was a sophomore in high school with copious amounts of free time on my hands. Being the reclusive outcast I was, I spent more of those spare hours obsessing over gadgets than socializing or playing games. And of all the trendy contraptions making waves at the time – think iPhone 4S, Kindle Fire, and Nest – portable game consoles were my favorite. Not only were they more affordable than the smartphones and tablets of the time, but handhelds were also beginning to see an unexpected resurgence. The launch of PS Vita, then should have been a home run for Sony. And yet it's one of the company's few commercial console failures. Despite the ubiquity of smartphones, mobile gaming was finding its footing. Most games you'd play on your phone were either shoddy ports of well-known franchises (see: Dead Space for iOS) or rudimentary Flash games developers realized they could monetize by listing them in every digital marketplace imaginable (see: Jetpack Joyride). Most believed there was room for another dedicated gaming handheld, that gave us proper games in portable form - perhaps even a successor to the commercially tepid PSP. But maybe 2012 wasn't ready for the mobile revolution that Candy Crush, Clash of Clans, and more recently the Nintendo Switch, properly realized. Less than a year prior to the launch of the PlayStation Vita outside of Japan, Nintendo introduced the 3DS to lukewarm reception. To an outsider, the 3DS's sluggish start could be chalked up to its unconventional game library. While fun to play, Pilotwings Resort, Super Street Fighter 4, and Nintendogs + Cats were not the sort of games we had hoped for from a post-Mario Galaxy, post-Twilight Princess Nintendo. Fans wanted a return to form in the shape of mustachioed plumbers and solemn elf boys, not Steel Diver, whatever that is. But the Vita launch window, unlike that of the 3DS, was ostensibly stacked. To name a few promising titles, WipEout 2048, Gravity Rush, Lumines, and Uncharted: Golden Abyss would all come out on or around February 22, 2012. PS Vita had every chance at success in a time where appetite for the console seemed high. So what went wrong? As someone who hadn't owned a Sony-branded console since the PS2 era, I was rightfully stoked. The idea of a handheld on which I could play PS3-quality games during my travels had my eyes gleaming with excitement. By that time in my life, I'd lost interest in console gaming. A powerful handheld, whose performance landed somewhere "halfway" between the PSP and the PS3, was exactly what I needed to get back on board with console gaming. The problem came with a slow start - something PS5 absolutely must avoid, especially with Microsoft so resurgent and Nintendo finding its niche again with Switch. In its first month, 200,000 PS Vita consoles were sold in the United States. Compared to the 500,000 systems sold in the first two days of the PSP's western lifespan, an optimist might say the Vita was slow to catch on. Maybe it hadn't found its audience yet. A deluge of high profile games were looming: LittleBigPlanet, Mortal Kombat 9, and a BioShock game – presumably a spin-off – had all been announced. Nevertheless, consumer demand for a more diverse catalog transformed its slogan "Never Stop Playing" into a seemingly endless running gag from PlayStation fans: Vita has no games. Sony's issue is that it fumbled the launch, when demand was highest, and from there is was impossible to claw back ground in a fast changing, very competitive arena. It failed to give players the games they needed when they needed them. It's what held back Xbox One during this generation and Microsoft has only just regained ground from its slow start. Vita, sadly, wasn't afforded the same level of support. To mitigate the notable lack of crowd-pleasers, Sony pulled out all the stops for the remaining 10 months of 2012. By the end of the year, the Vita gained support for the well-regarded PlayStation Plus subscription service. For $50 a year, Vita owners could download select games for free every month, with the one caveat that, should they cancel their subscriptions, access to those titles would be rescinded. A system bundle, which included a whole year of the service along with a 4GB memory card, came out at a time when its heaviest hitters could be downloaded for free using the PlayStation Plus Instant Game Collection incentive. But by then smart phone games were evolving, Vita's reputation had been - fairly or unfairly - tarnished as something with no viable games to play, and Sony was slow to unlock its heritage of PlayStation games to help stem the bleeding. PS5 take note - while new games are pricey to produce, Sony already has a raft of older titles to lean on when that lull inevitably comes along in between PS5's launch and its second wave. In a last-ditch effort to save the Vita from becoming the next Dreamcast, Sony was giving away a year's worth of access to Uncharted: Golden Abyss, WipEout 2048, Gravity Rush, and Unit 13 as part of this bundle. Moreover, by December, annualized best-selling franchises like Assassin's Creed and Call of Duty both had a presence on the Vita, though admittedly both Assassin's Creed 3: Liberation and Call of Duty: Black Ops Declassified kind of sucked. Critically, the latter was a disaster for the Vita's reputation. If the masses were already dissuaded from buying a Vita due to a lack of triple-A blockbusters, Black Ops Declassified would cement that decision. As it turned out, no one wants to play a Call of Duty game riddled with egregious online multiplayer issues and truncated by an hour-long campaign. And with that, the Vita's short-lived career as a commuter's PS3 had come to an end. Save for a handful of exceptions, such as Killzone: Mercenary and Tearaway, the Vita became a refuge for indie games and niche JRPGs. Whatever mainstream appeal it once demonstrated had now tapered off. The Vita lived on, spawning a cult following of faithful loyalists. But Sony abandoned its commitment to bringing console-quality games to a handheld. It had simply been an expensive experiment that wasn't worth continuing. 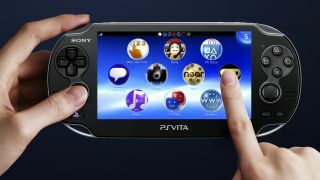 Consequently, the PS Vita is now considered an economic failure for Sony by critics and consumers alike. At the Tokyo Game Show in September 2018, Sony announced it would be discontinuing its handheld within the fiscal year, which ends on the last day of next month. Already, at the time of this writing, a factory-sealed Vita is a tough get. New game releases are few and far between. If you're interested in buying one at all, it's probably so you can stream games to it from your PlayStation 4. Even that, however, can be done on a laptop or smartphone. What the Vita needed was top-shelf facilitated software exclusivity, be it with the games themselves or the system functionality. Sadly, nothing that blew me away on the Vita was only on the Vita. Although it is unlikely Sony will ever come out with a new handheld, the company can still grow from the Vita's missteps. With the PS5 on the horizon, it's increasingly crucial for our dear friend Jim Ryan, the new head of PlayStation, to bear in mind the ramifications of overpromising and underdelivering. For all we know, the Vita could have been a hit were it positioned as an indie haven rather than the phablet-size PS3 Sony's earlier messaging convinced us it was. And it would have helped if it were cheaper. And if its memory cards were cheaper. And if Sony didn't outright lie in its marketing. And BioShock Vita wasn't revealed prematurely, ahead of Sony and Take Two reaching any sort of legally binding contractual agreement. All told, the Vita faced a whirlwind of challenges in its ephemeral life. To quote a recent commenter on its debut sizzle reel from 2011, "May you rest easy, my old friend." Rest easy indeed... but only after passing down some wisdom to PS5.